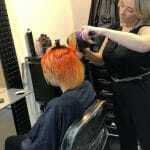 So what’s hot and what’s not in the world of hair colour?………..everything is hot! 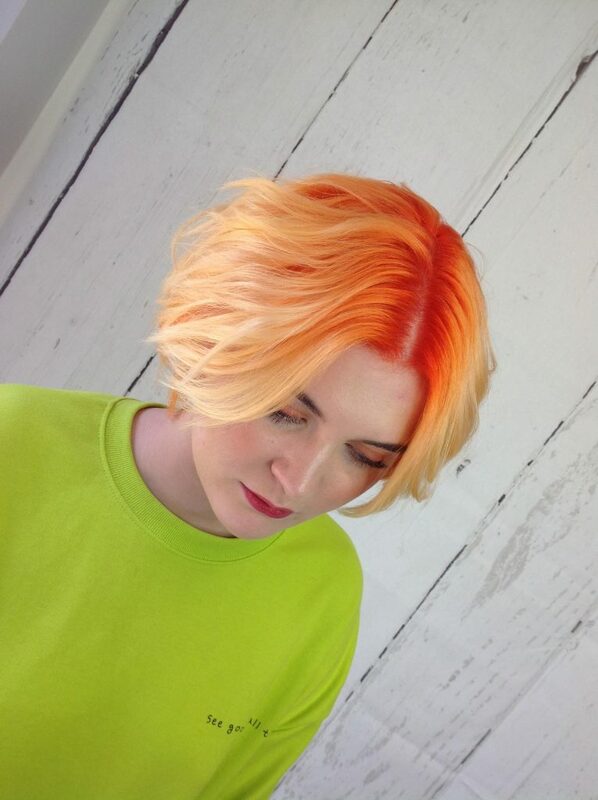 Stunning Bright orange softly melting into vivid and pale yellow tones for a stunning sunset effect. Darci is pretty much open to anything bright, bold and warm. 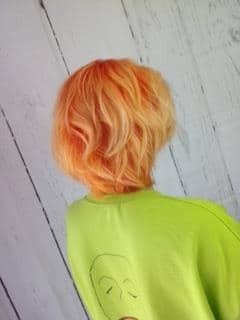 Stunning Orange and yellow tones were applied to previously lightened hair using a freehand technique to create a totally bespoke and eye catching result. 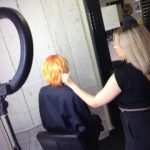 Due to its vibrancy this colour will gradually fade with each shampoo leaving Darci with a soft peachy blush tone all over.